Genuine Fiat 500L - Trekking | 500L - Estate Chrome-Plated Molding On Hood. Fiat 500L Chrome Bonnet Line. Personalise your New Fiat 500L with this Fiat 500L Chrome Bonnet Line which fits onto the bonnet along the central line. 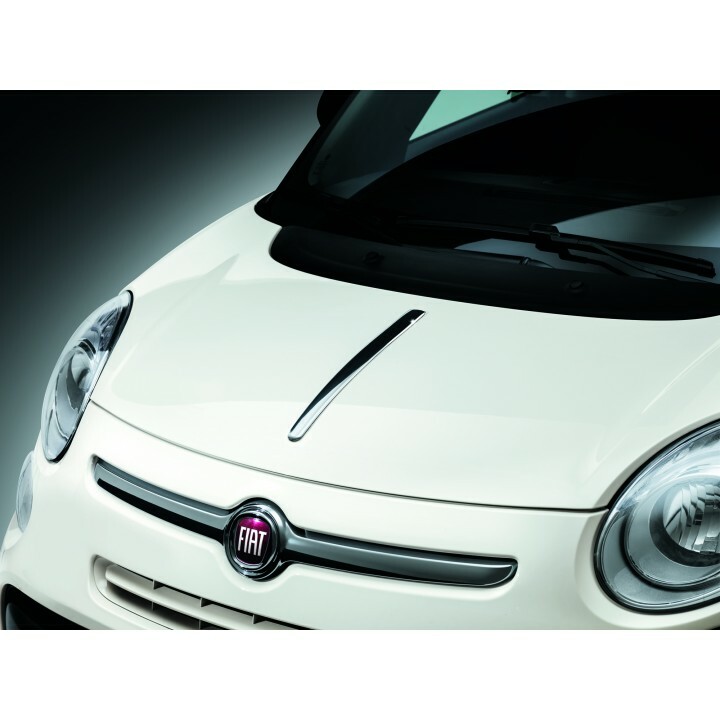 This Fiat 500L Chrome Bonnet Line comes complete with a Self Adhesive backing for easy fitment.